I had the pleasure of hosting a Video Poetry for Beginners workshop last week, in which I talked the attendees through several software options. I took the same stanza from a poem, the same footage, and showed them what was possible in each software and not. Now, I would love to do more of those workshops but as those things take time to organize I thought in the meantime that I would share 3 easy and free (or cheap) options for writers wanting to create a film. These can be used for book trailers as well as films of your poems. Talk about giving my secrets away! Lumen5 is free and very easy to use. 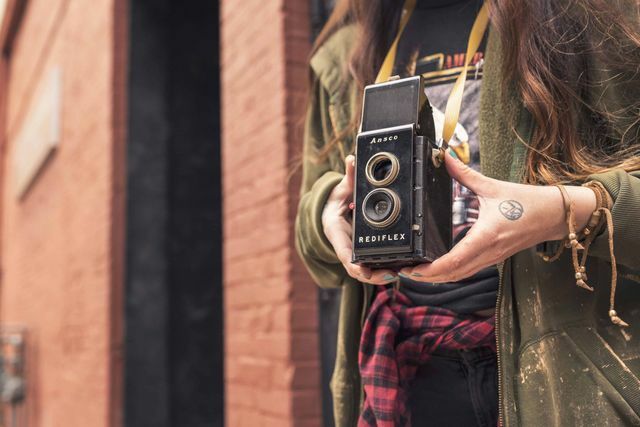 The basic idea of Lumen5 is that it's a simple way to create a video-version of your blog posts, using AI to suggest relevant images to match your content. 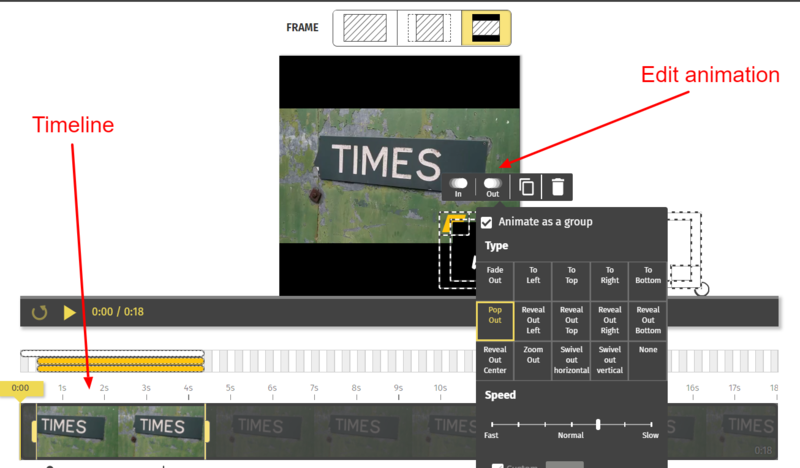 It's also a great tool to create simple and clear film poems and book trailers. Step 2: Edit the text in the order you want it to appear in. Here's where you can type in your poem, line by line. Don't worry too much about it being set in stone as you can edit this later. On the right are your 'scenes'. On the left are suggested images and videos. You simply drag the image you want to the relevant scene. Step 5: Then click 'Continue' on top right to see how your scenes all work together, and then wait for the video to render (this usually takes about 10 minutes). You can always re-edit later or, if you're happy, download it and share it! Pros: It's free (there are some paying options). You can easily add text, and choose from a gorgeous library of video footage, images and icons. Because options for where text go are restricted, it's hard to bungle this one up. You can now add black stripes above and below for a meme effect or a reminder of the book's title. Cons: you can't add an audio track of you reading your poem, you can't control the speed at which the transitions happen, and sometimes footage/images go missing in the rendering (the latter is probably just a bug that'll hopefully get fixed though!). Good for: Book Trailers. Use the quotation function to share endorsements on the slides (click 'Text' next to the slide to see that option). If you've got great footage already and just want to add text to it, then Typito is perfect. It has all sorts of animation options for your text. Step 2: Click on 'Switch to Reel Mode' on the right. This is where you can edit the length of the footage and upload and add any additional footage. Step 3: 'Switch to Overlay Mode' to add text. In the left-hand column you are given various options which you can add by clicking on them. When text is highlighted, you can see on the timeline below when they appear and adjust the length of time they're there for by just dragging the edges with your mouse. Step 4: You can edit the animations for the text (i.e how they arrive on the screen, and how they exit), as well as the usual font, size, colour etc. Pros: Really easy to use with some nice text options, particularly for animations. It's also easy to choose a different size option if you want it to be well adapted to, say, Instagram. Videos are either free or a $3 per video depending on the option you choose, so it's very affordable. Cons: you can't edit or add any audio to this, so you have to make sure that's already perfect before you input it. There are no editing options for the footage beyond length - you can't crop it or position it differently. Good for: Adding subtitles to a video of you reading your poems. Canva is a fantastic image editing tool and it also has an option to create GIFs out of your designs. The only caveat is that this option is currently only available to Canva for Work users ($9/$12 a month). Step 1: Log into Canva and select the format you want to create your GIF in (for example: an Instagram size). Step 2: Create images, one per line ideally, by choosing images from Canva's extensive library or uploading your own. Add and edit text. Bear in mind that you can go up to 10 images maximum and that filters won't transfer. So keep it simple. Step 3: Save your project, then click Download and select 'Animated GIF' as the file option. Step 4: Select the animation style from a variety of options then download it as a GIF or movie depending on the option that best suits you. Cons: No sound options, you can't filter the images or control the animations. Might be pricier for some people to access. Good for: Sharing your shorter poems or sharing a mini-book trailer. These options are great if you need something quick and cheap, but they are of course limited, so if you need something a little more complex, message me at ctrevien AT gmail.com for a quote. I can either make your idea come to life or host a workshop to show you how to use these tools and more complex ones for yourself.